The hereO GPS watch is the world’s smallest real-time connected GPS tracking device, created specifically for children three years and up. For the first time, tracking technology has been miniaturized to fit in a trendy kids watch. 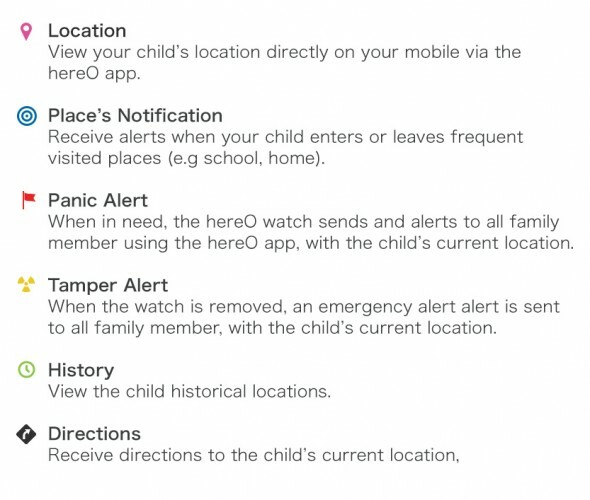 hereO enables parents to know the whereabouts of their children at any moment directly on their mobile via the hereO app. The hereO GPS watch comes with a build-in SIM-Card, which automatically connects to a local carrier in more than 140 countries with no roaming fees. Imagine receiving a notification on your smartphone that reads “your child has arrived at school”. Knowing where your child is located at anytime with a click of a button, that is priceless. This is what hereO offers. News: Ready for the ArduinoDay 2014?